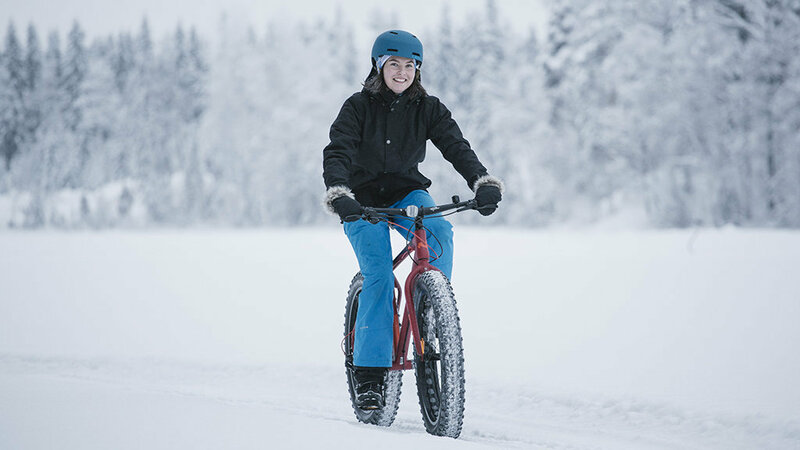 Winter biking with a fatbike, an off-road bicycle with oversized tires, is easy and fun. It is an adventurous and healthy activity during your cottage holiday. The small paths in the forest can be used all year long and even in winter, there are smooth and save slots near the cottages. 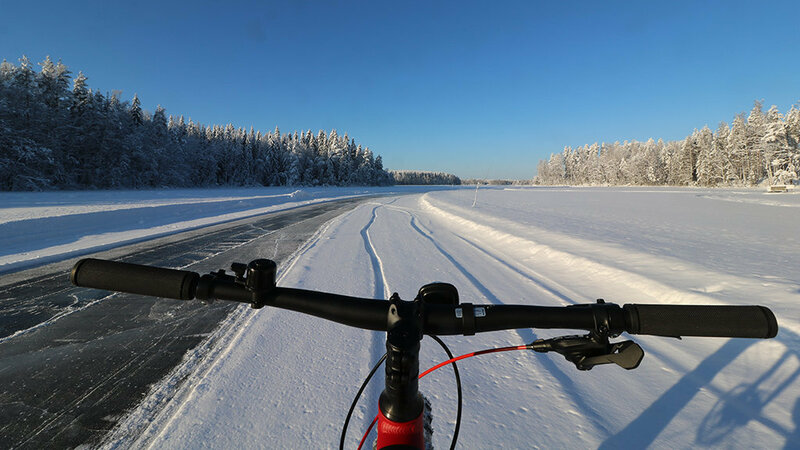 It is especially convenient to ride on Lake Soukkio or on the side of the ice-skating trail. You can enjoy fatbiking in your own pace and without a guide. 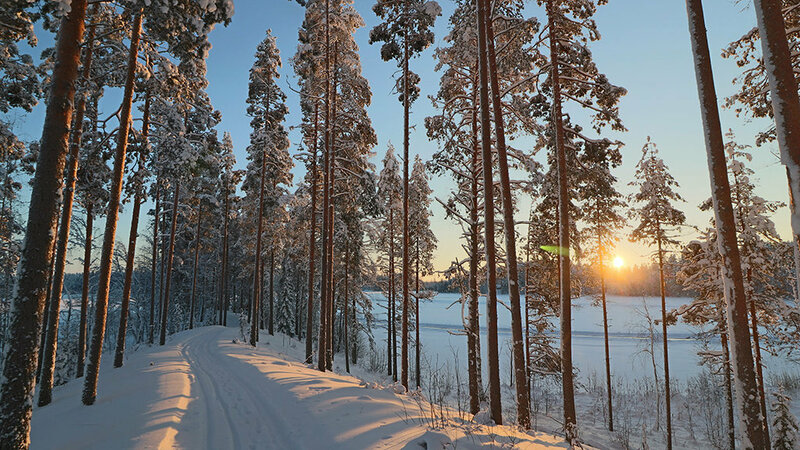 The tires are suitable for snow and ice, as well as for the rough ground of the forest. 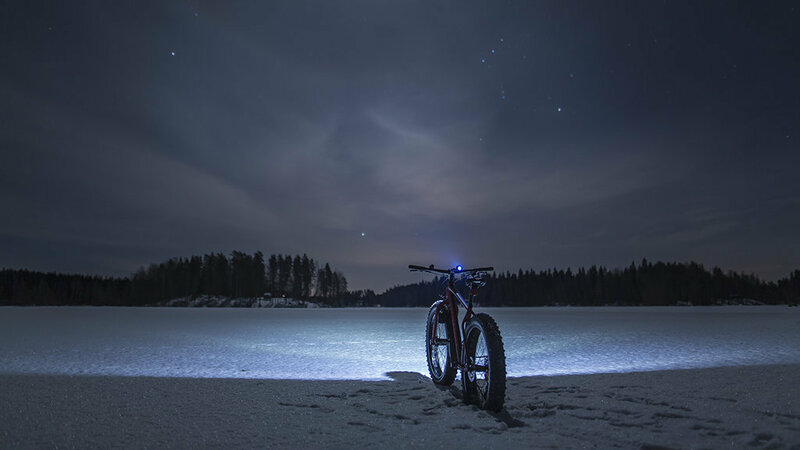 When renting a fatbike we additionally provide a map of the Lake Soukkio area. The map is also available on the homepage in the section “winter activity”. Within 3 kilometers from the starting point (bike rental office), there are three camp fire places with fire wood and some also have a toilet. 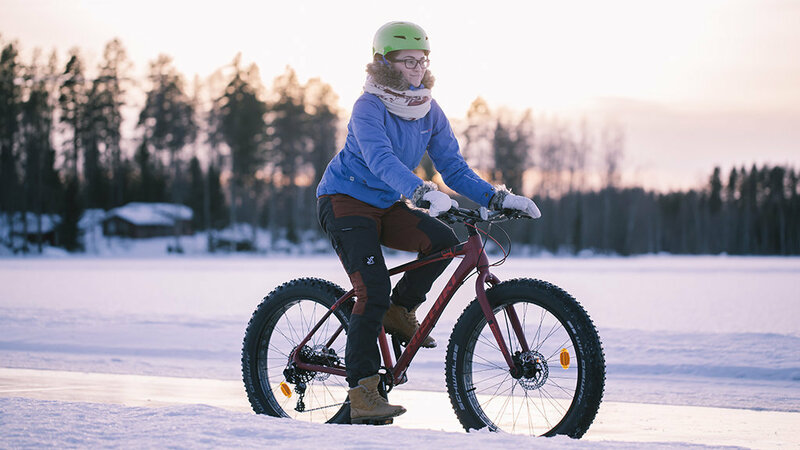 The fatbike rent includes a helmet, while other protective gear is available at extra charge. Starting place: The shore of your rental cottage by Lake Soukkio. Additional costs for the transport to cottages nearby: 50-100 €. 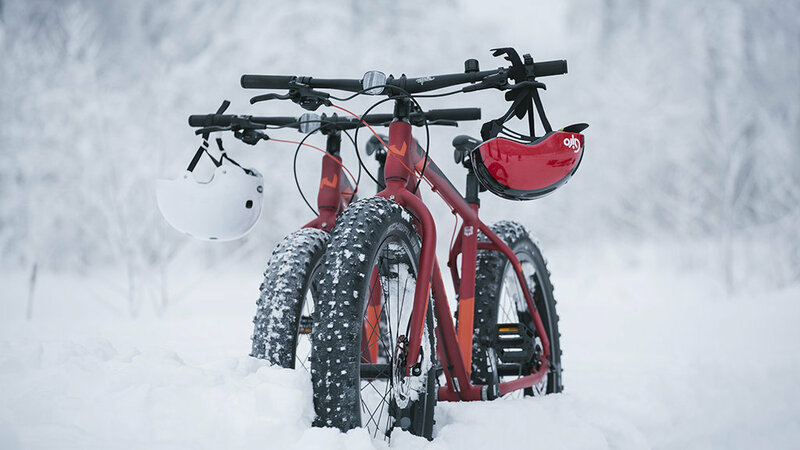 Suitability: Whole family, Fatbike size - L, persons 175-190 cm. 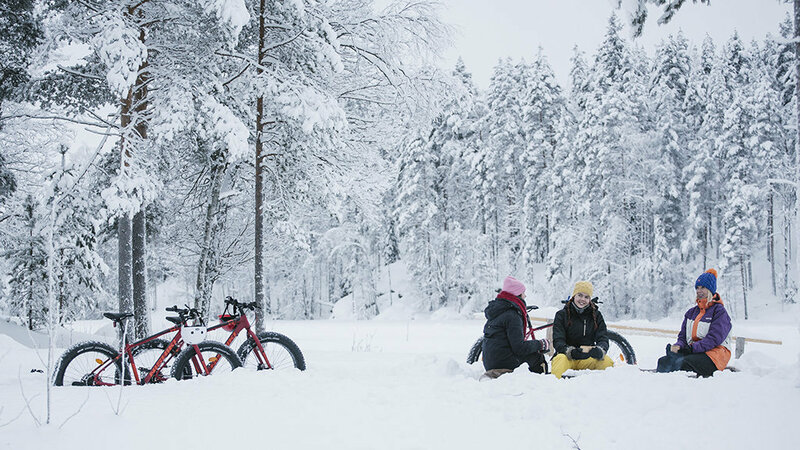 Fatbike operating days and the time can be changed separately by prior arrangement and subject to availability during your holidays. For a request of a customized offer or a longer renting period contact Rock and Lake sales via phone +358 50 566 0905 or send an email to sales@rockandlake.com.